Sunday Groups held on all other Sundays of the month. Friendly, child-centred, welcoming and engaging spaces for children and young people. 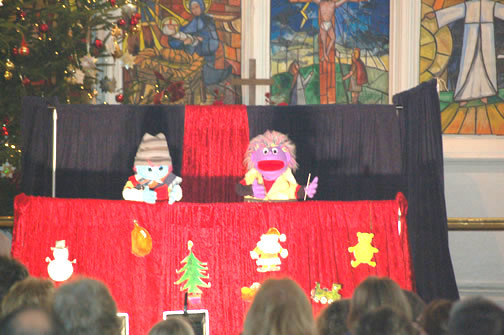 School years 7 – 11: Third Sunday of each month, 7.00 pm at Christchurch Clevedon. No need to book – just come along! 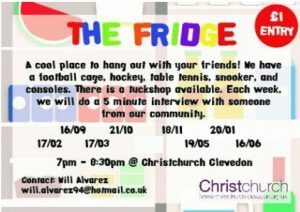 Weekly Wednesday group at Christchurch for those aged 15-25 from 7:30-9.00pm. 2nd, 3rd & 4th Wednesdays: Meet at Christchurch. 5th: (If there is a fifth in the month) a social, such as a BBQ, bowling, crabbing, a board games night etc! More information contact Will about what is going on and where. Every Monday afternoon in term time 3.30pm – 5pm. Come and have some fun honing your skills with our resident University Champion. 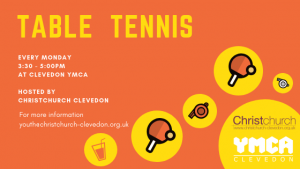 This now takes place at the YMCA, Marsden Road, Clevedon. 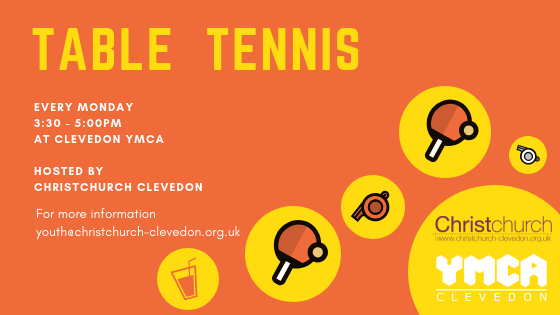 Refreshments and equipment provided – just turn up and play! 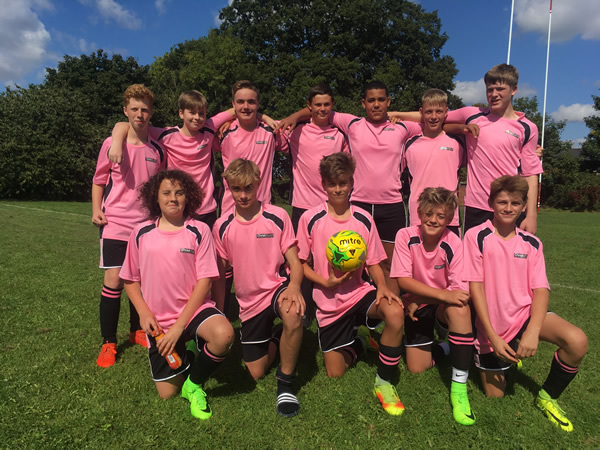 Christchurch have our own youth football team currently under 16s and playing in the Severn Valley Youth Football League.